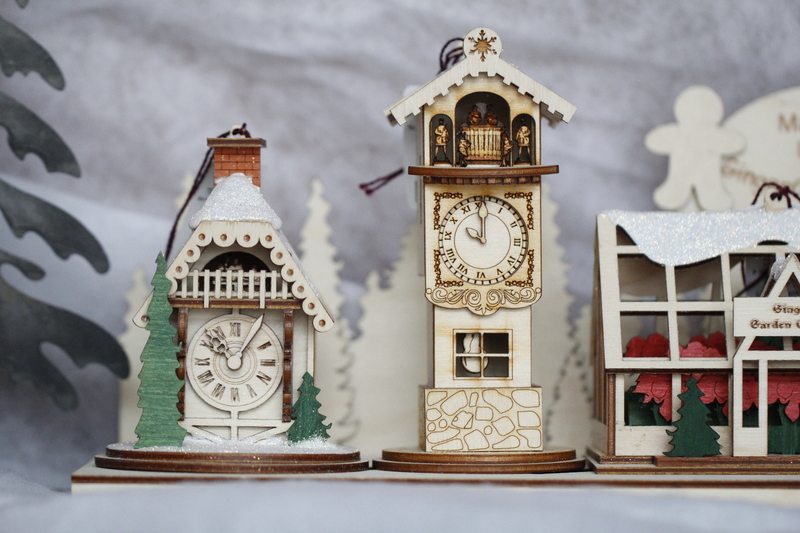 Ginger Cottages are handmade in the USA and each one contains enchanting secrets hidden in its meticulous construction. According to the Ginger Cottage’s website, each cottage is has a small hole underneath fit for a Christmas tree bulb. When the cottage is lit up, you will discover a small scene inside. That is just one secret of many other German and American history-inspired surprises you will find inside the different cottages if you look closely enough. Come by and see all the beautiful cottages we have in store and pick one or a few for your mantle or tablescape. 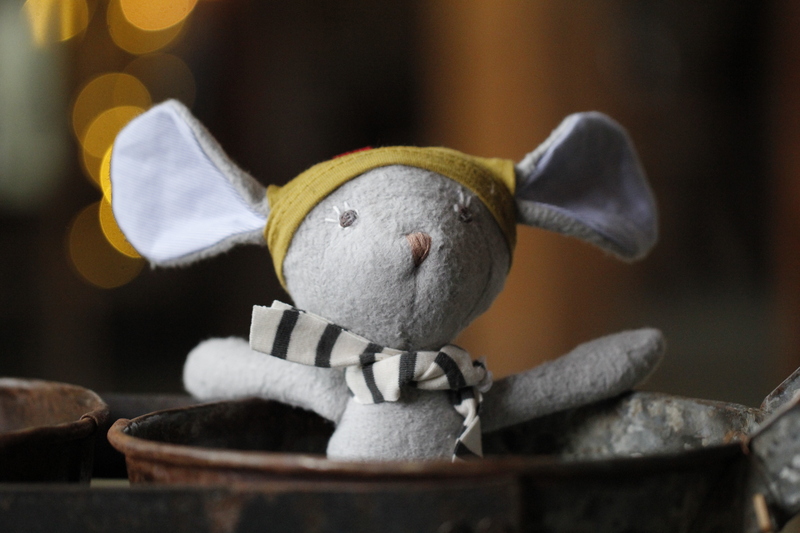 These adorable organic cotton woodland creatures are sure to please any child this holiday season. 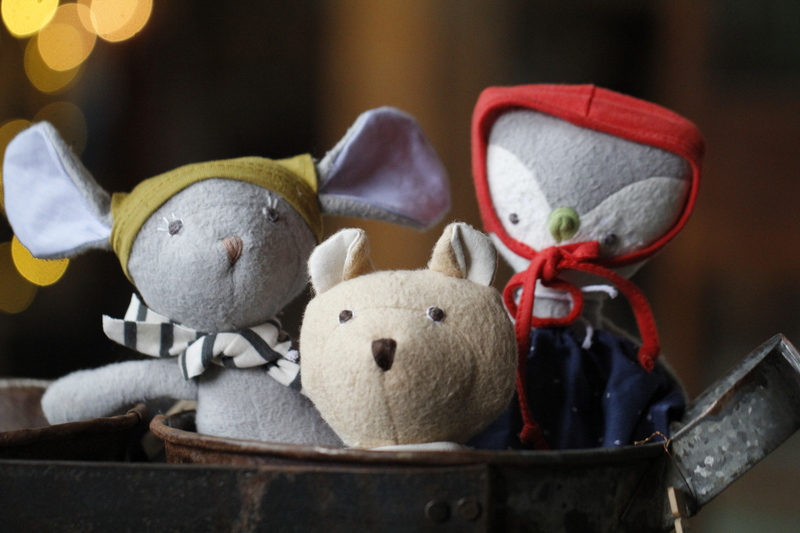 Handmade in India, with a flagship store in Brooklyn, Hazel Village‘s line of animals, dolls, and doll clothing began in 2010 and inspires children to put down the tech toys and get back to old-fashioned, imaginative doll play. We’re so excited to carry this line of organic dolls and we know once you see the selection of woodland animals and clothing we have at the Garden Center, you won’t be able to decide which is cutest! If you are looking for the perfect hostess gift to bring to Thanksgiving or upcoming holiday gatherings, we’ve got you covered. 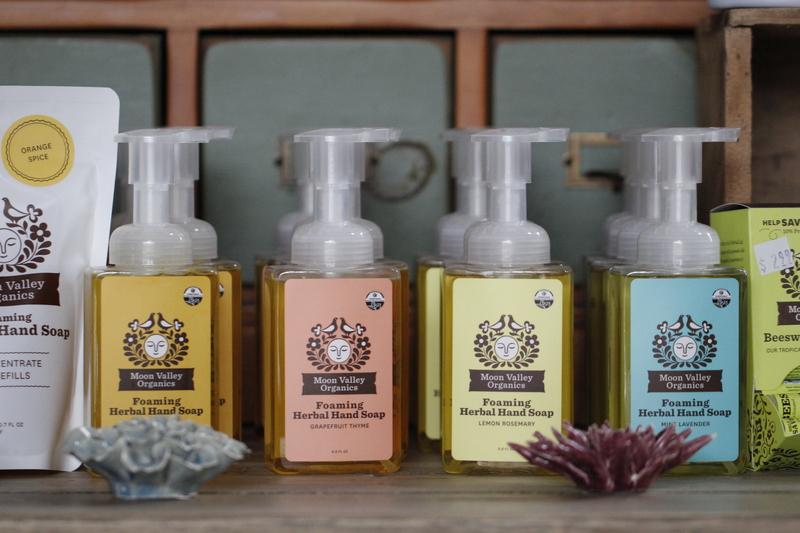 We carry nearly the full line of Moon Valley Organics soaps, lotions, and lip balms and we love them all! Everything smells amazing and nothing leaves you dried out like some hand soaps can. Created using simple ingredients from their own organic farm, Moon Valley Organics products are beautifully packaged in environmentally friendly containers and are free of any artificial ingredients. And if you know any bee lovers, Moon Valley Organics donates 10% of the net profits from their herbal lip balm to organizations that promote pollinator health through conservation, legislation, and research. If you enjoyed learning about a few of the newer items in-store, check our Instagram stories @frisellanursery for regular updates on what’s new and blooming at Frisella Nursery. For all upcoming events at Frisella Nursery, click here.